Computer network technicians establish, operate, maintain and co-ordinate the use of local and wide area networks (LANs and WANs), mainframe networks, hardware, software and related computer equipment. Supervisors of computer network technicians are included in this group. Computer network technicians usually work a regular 40-hour week, however, they may be required to be on call for rotating evening or weekend work if computer support over extended hours is required. Overtime or work outside regular office hours may be necessary when unexpected technical problems arise or when large-scale maintenance requires shut down of the system. Computer network technicians typically work in offices and server rooms. Workers employed by companies that provide contract services can spend much of their day travelling to clients' offices. Because these workers spend long hours using computers, they must be careful to use ergonomic work practices to avoid eye strain, back discomfort and joint stress from keyboarding and mouse work. Computer Network Technicians generally must complete a diploma or certificate program in computer science, network administration, web technology or a related field. Employers may also require a certificate of training for some types of software or hardware. Completion of a diploma program and at least two years of industry work experience can lead to certification as a Computer Applications or Data Communications Technologist (AScT) with the Applied Science Technologists and Technicians of British Columbia (ASTTBC). 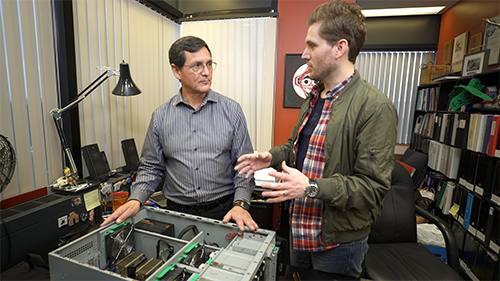 Completion of a certificate program and at least two years of industry work experience can lead to certification as a Technician (CTech) with ASTTBC. Certification is not mandatory, but it typically helps to increase employment opportunities. The growing use of information technologies will drive the need for more workers in this profession, as employers across a wide variety of industries implement complex computer and Web systems. This broad employment base helps to diversify the employment opportunities for these workers. Expanding networks, such as those for wireless and broadband Internet, are increasing the demand for associated technical occupations. Opportunities for computer network technicians should continue to increase as businesses increasingly need help to manage, upgrade, and customize complex computer systems. The growing use of social networking and virtualization is expected to create additional opportunities in this field. Growth in the demand for computer security specialists is expected to increase as businesses and government invest in network security to protect vital computer systems and data from attack. With the development of electronic commerce, more establishments are using the Internet to conduct business online, creating an ongoing need for information technology professionals. Because technology in this field changes rapidly, recent graduates and those who regularly upgrade their skills should have an advantage in finding employment. In addition, workers in this field who have one or more vendor certifications stand a much better chance of finding employment. An increased demand for individuals with experience with wireless or converged voice technologies. As these technologies become mainstream, most organizations will need someone who can correctly implement, monitor and service them. Recent graduates typically find work in computer and network operating or user support (i.e., help desk, client support, etc.). With additional education and experience, computer network technicians can progress to supervisory positions or move into other fields such as computer programming, interactive media development, web development or systems analysis. Example titles include, network architect, network systems engineer, senior analyst, team lead or manager.